Ultra-dimensional wood-shake look.With more than 100 years of research and experience behind them, they are undisputedly the thickest and most beautiful wood-shake look shingles you can get. Value and performance in a genuine wood-shake look. With their unbeatable value, performance, and beautiful wood shake look, it is no wonder that Timberline HD is North America’s number one selling shingles. Uncompromising performance and timeless beauty. 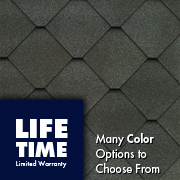 Part of the Ultra-Premium Shingle Collection, Camelot Lifetime Designer Shingles offer timeless beauty and uncompromising performance at an affordable price. The look of authentic hand-cut wood shakes. 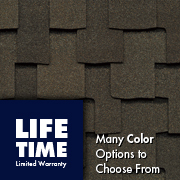 Part of the GAF Designer Lifetime Roofing Line, Glenwood Roofing Shingles are simply the most authentic shingle you can buy if you are looking for a wood-shake look in an asphalt shingle. Timeless beauty at a fraction of the cost of expensive slate or wood shakes. 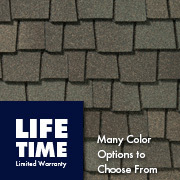 Part of the GAF Lifetime Designer Shingle line, these beautiful and affordable singles give your home a look that’s as unique as you are, and protect it from the harshest elements. Classic, affordable old-world elegance. They are unique in their diamond shape and beautiful color palette, and will enhance your home’s curb appeal for many years to come. Your house will be the one that stands out on the block. Bold shadow lines and tapered cut-outs. Traditional slate tiles are expensive and, because of their weight, aren’t appropriate for a lot of houses. 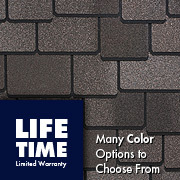 You can get all of the beauty with none of the headaches of slate tiles with GAF Slateline Roofing Shingles. Unique design creates a dramatic visual impact for prestigious homes. Get a realistic, wood-shake look without spending an arm and a leg. Unique shapes and oversized tabs create a rich, sophisticated look that you’d expect to pay a lot more for. And the unique, earth-toned color palette delivers deep browns, weathered wood, cedar, and terracotta tones. The stylish look of hand-cut European style. If your home won’t be complete with anything but the hand-cut look of European-style shingles, these are what you’ve been looking for. Affordable European clay tile look. Your home will be the envy of your neighborhood, when everyone sees how great your roof looks and what a difference it makes in your homes appearance. And no one will believe that it cost you about 70 percent less than European clay tile. 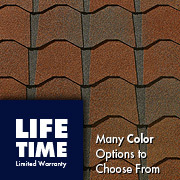 Class IV Shingles with enhanced impact resistance roofing shingles. 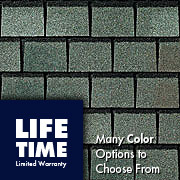 These Shingles are so good that they may even qualify you for a discount on your insurance in certain areas. The look of rugged wood shakes with the protection of UL 2218 Class 4 impact resistance. We don’t know of anywhere else that you can get the industry’s best warranty in a beautiful wood-shake look, at a fraction of the price of wood or metal. 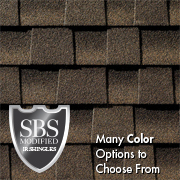 GAF is one of North America’s largest manufacturers of roofing shingles and products. The quality of their products, the expertise of their network of GAF Certified Roofing Contractors and their continued commitment to research and development make them tough to beat. 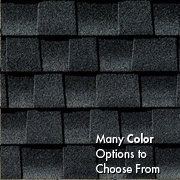 The entire line of GAF roofing shingles are made from the highest quality materials, and are unmatched in their beauty and durability. 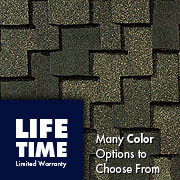 They’ve been rated the number one quality shingle by home builders nine times in the past 11 years. And, they’ve won the Innovation Award for Asphalt Roofing Shingles four out of the past seven years. 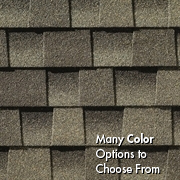 GAF manufacturers its shingles at multiple locations throughout North America. Each manufacturing facility is held to the same exacting standards. And, more manufacturing facilities means better service, including faster turnaround on custom orders. With no need to maintain huge inventories and ship from one location, GAF lowers its costs and passes savings along.